The Polish science fiction writer Stanislaw Lem, whose works include Return from the Stars, The Cyberiad, A Perfect Vacuum, and Solaris, has been hailed as a "literary Einstein" and a science-fiction Bach. 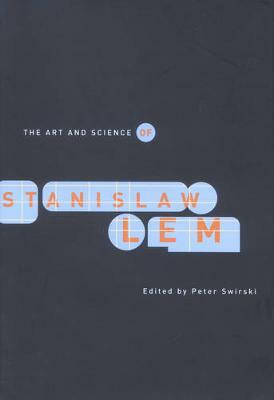 The Art and Science of Stanislaw Lem provides an inter-disciplinary analysis of his influence on Western culture and the creative partnering of art and science in his fiction and futorology by American and European scholars who have defined Lem scholarship. Rather than analyzing Lem solely as a science fiction writer, the contributors examine the larger themes in his work, such as social engineering and human violence, agency and consciousness, Freudianism and the creative process, evolution and the philosophy of the future, virtual reality and epistemological illusion, and science fiction and socio-cultural policy. This unique collection also includes "Smart Robots," a previously unpublished essay by Lem. Contributors include Peter Butko (Southern Mississippi), Istvan Csicsery-Ronay Jr (DePauw), Katherine Hayles (California at Los Angeles), Jerzy Jarzebski (Jagiellonian, University Cracow), Michael Kandel (Modern Language Association), Stanislaw Lem, Paisley Livingston (Lingnan University, Hong Kong), Krzysztof Loska (Jagiellonian University), and Peter Swirski (Hong Kong).